How to Maximize Learning in Autistic Children? Children with autism usually have difficulties in learning because of the impairment in their social communication and interaction with others. Moreover, the repetitive tasks and restrictive behaviors and interests also prevent them to integrate to the learning process. Children with autism are best described as children having their own world” so allowing them to learn in a conventional way will not be effective. 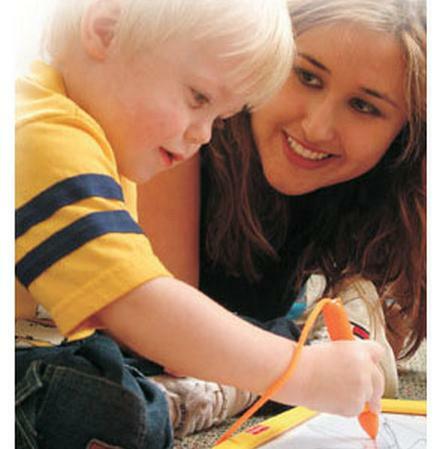 The first thing that autistic children need is early intervention. Autism usually can be observed even during infancy. Parents need to monitor the growth and development of their child to identify possible delays in the language and social development of the child. The earlier the diagnosis will be, the earlier the interventions are, which significantly dictates the outcome of the treatments. Before the age of 3, children with autism require one-on-one therapy in order to improve behavior, language, self-help and social skills of children. An autistic child should never be confined at home because this will just limit their worlds to the home. Children with autism need exposure to the community, school and other social settings to maximize environmental effects to learning. Through social exposures, autistic children will be able to adapt in some way with the presence of other people. Autistic children will eventually develop language difficulties, which prevent them in dealing with other people. In this line, speech therapy will help children adapt to social interactions although they really do not develop the learning and language abilities of average children. Auditory integration therapy is a means by which autistic children are exposed to sounds in order to reduce sensitivity to sound frequencies. Autistic children are usually sensitive to various sounds, which prevents them from their learning. Auditory integration therapy also involves music therapy to enhance and stimulate communication abilities. Parents can employ music therapy even at home such as playing neutral and soft melodies to help children to be calmer. Autistic children also require special education rather than having them in regular schools. Special education caters to the specific needs of autistic children and also improves the mechanism by which children adapt to learning. Special education does not focus on teaching children the basic reading, writing and arithmetic skills, but focuses on improving the social interaction, language development and behavioral modifications. In order to maximize learning in school, parents should choose carefully the school that will provide the best education to their autistic children. For maximizing learning, the author recommends ABC mouse which features books, songs, games, puzzles, art activities and even printables. Read ABCmouse Review to more about it. Eventually, autistic children will be left on their own especially when their parents will eventually age. In this line, life skills education is also essential to help children go about with the everyday tasks such as self-care and feeding. Aside from these learning techniques for autistic children, they need unending love and guidance more than anything else. Autistic children who are loved and guided appropriately by their caregivers are able to adapt more and learn more. Those who seek love and attention most often experience deterioration in their cognitive functioning that will eventually make learning more difficult. Dr. Amarendra, the author writes for www.ordersciencebooks.com which contains Naturepedic Promo codes. Naturepedic provide natural, non-toxic, waterproof, and organic crib mattress and bedding products that are safer and healthier sleeping materials for infants and children. 3 Responses to How to Maximize Learning in Autistic Children? Hmm. Special education can and does work on the academics for children with autism . I have two daughters with autism and the school system certainly worked on academics. The school system also worked on speech and social interactions. I’d be more impressed with your post if you proofread it and/or used correct grammar. I’m still trying to decipher what was meant by “If your one of those who has an autistic children.” I mean this isn’t a Facebook status update. If you are serious about giving advice to parent’s of autistic children, and using the internet and search engines as a tool to get people to your advice, use proper English.